Hello hello! I've got a brand new Unblogged Files for you today! 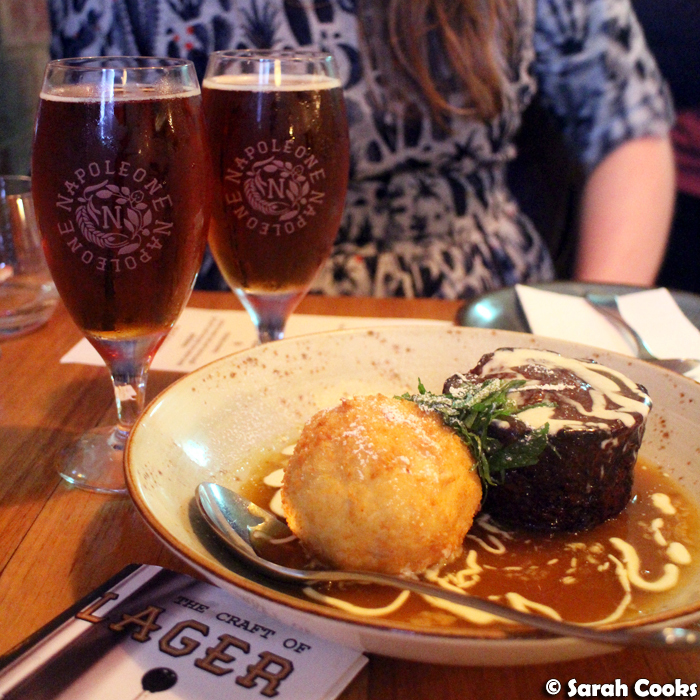 May was a crazy busy month for me, with social events, blog stuff, and work. Time now to sit down and catch my breath! 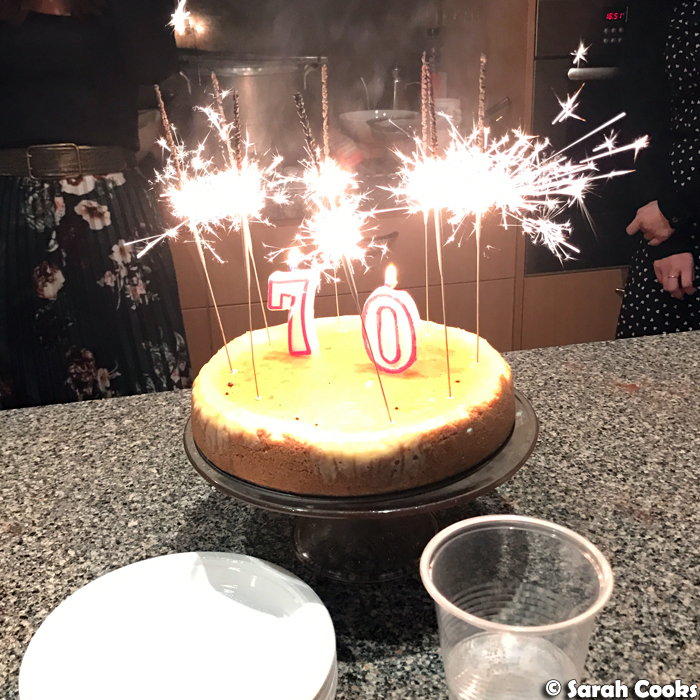 Ok, so a big highlight of May was my dad's 70th birthday! The week before his birthday, we hosted a huge party at his house. 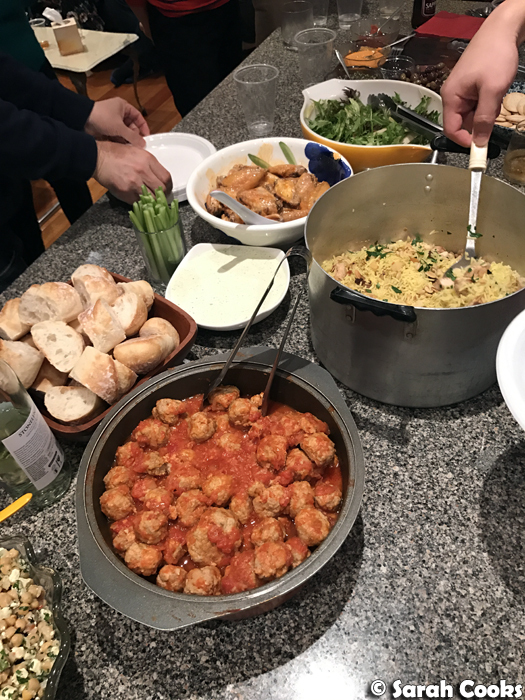 Sandra and I did all the cooking, and there were over 40 guests! Exhausting, but so much fun! 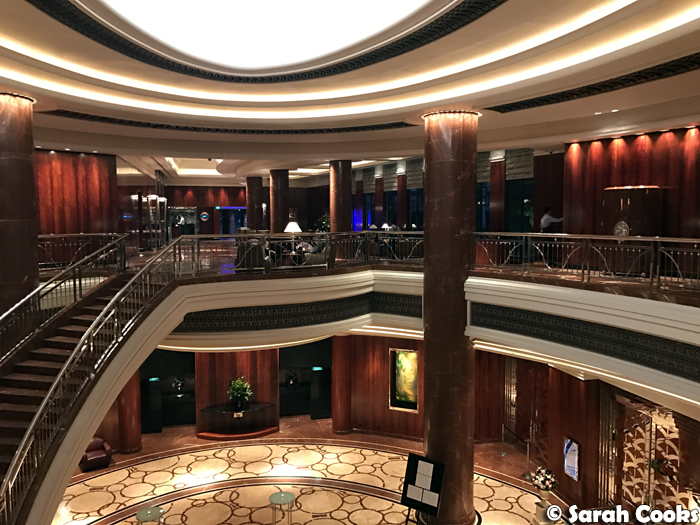 And for his birthday present, we shouted him and Mum a staycation in the city - a weekend at the Park Hyatt, with lunches, dinners, drinks and more, all included! They loved it! I'll blog about the party and the weekend in full, but for now enjoy this photo of the Park Hyatt foyer. That hotel has serious foyer game. Let's move onto our usual programming. Breakfasts. 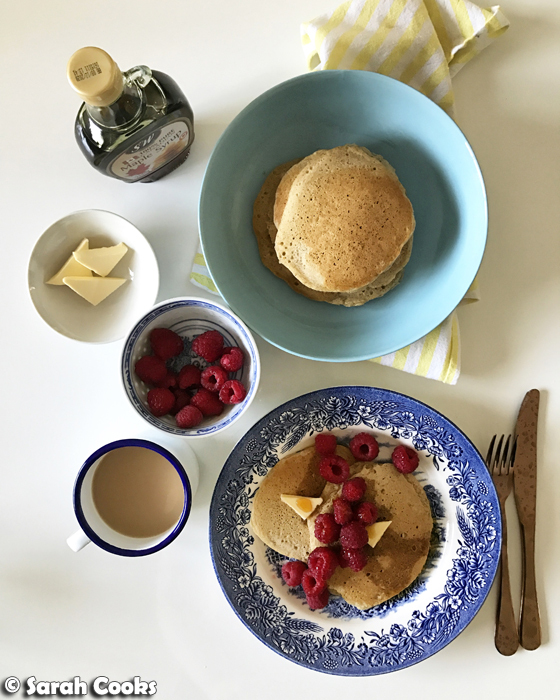 One weekday, the pancake craving was strong, so I got up early and made a batch of Megan Gordon's fabulous wholegrain pancakes. Totally worth the early start. 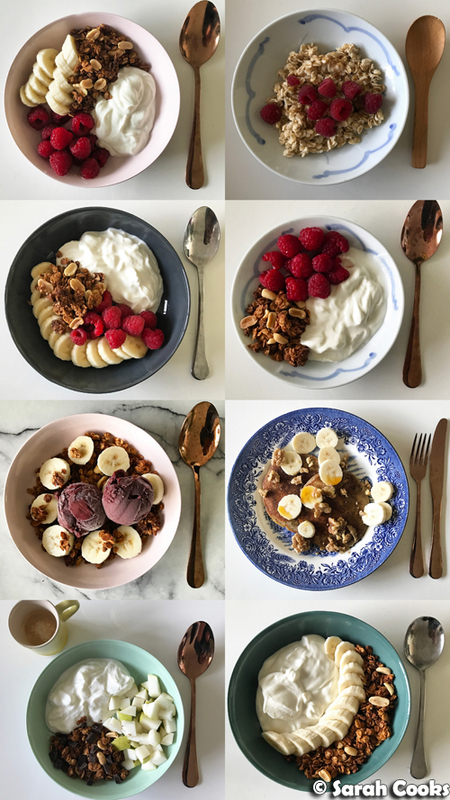 Most mornings though, it was simpler fare - peanut butter granola with yogurt and fruit or açaí sorbet, oatmeal, and leftover wholegrain pancakes the day after the pancakes. 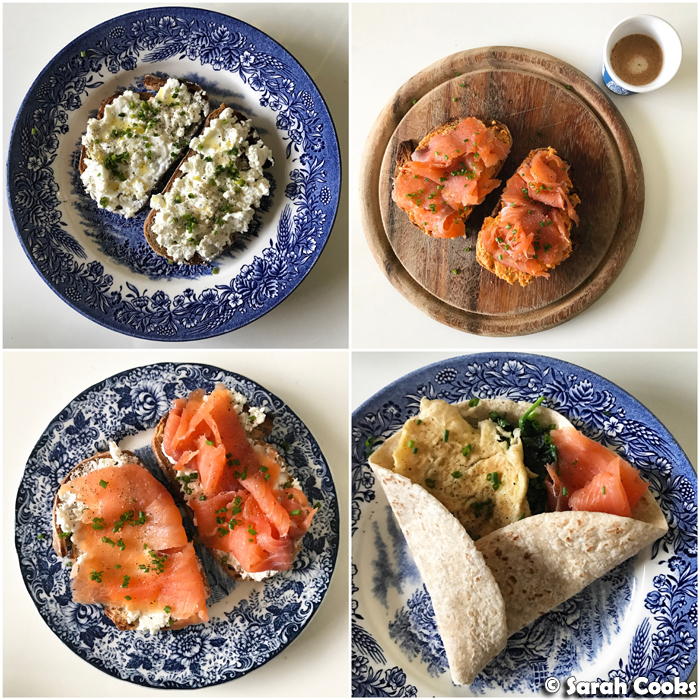 Since the avocado subscription is on a break right now, I don't do savoury breakfasts so often, but sometimes I did feel like something substantial - toast with cottage cheese or smoked salmon (and that romesco sauce! ), and a properly filling breakfast of scrambled eggs, spinach and smoked salmon in a wholegrain wrap. (And just quietly - not pictured, sometimes I inhaled leftover cake or a peanut butter wrap at my desk when I had early morning meetings). Seeing as I've been so busy at work, the meal-prepping for lunch took a bit of a back seat, and I ate out a lot more frequently than usual. (Eek, last week I bought lunch every day!) Oh wells, at least I get some pretty pictures to share with you! Definitely back on the meal prep wagon now. 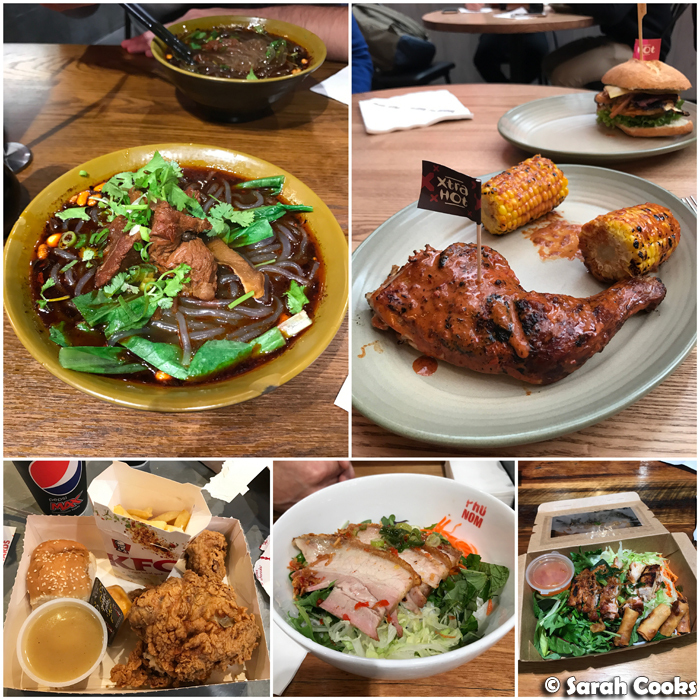 Some lunches were my usuals - spicy noodles soup at Dainty Sichuan Noodle Express and Pho Nom in Emporium, Nandos, and even a KFC lunch to try their tobasco chicken. (Very delicious). I also went and tried some new (for me) places! 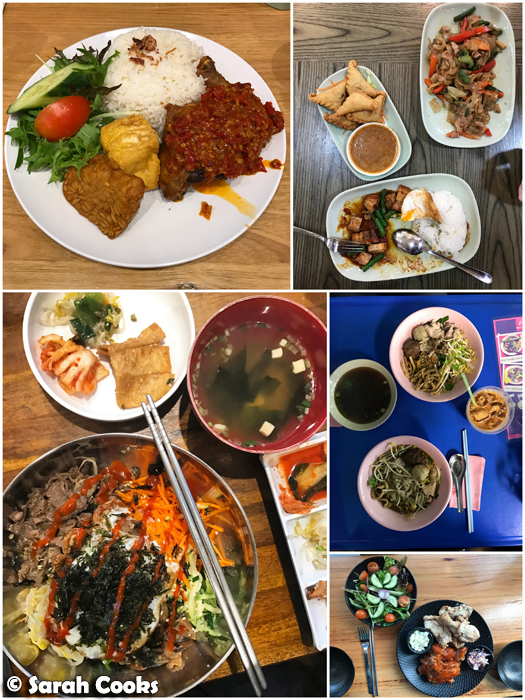 Fat Oma for the most amazing and spicy ayam belado, delicious Thai at Me Dee in the Paramount food court, Soi 38 for truly fabulous Thai boat noodles, Korean Fried Chicken at Nene, and bimbimbap at CJ Lunchbar. I did some great events / invites in May - let me know if any of these particularly interest you and I'll prioritise writing them up. 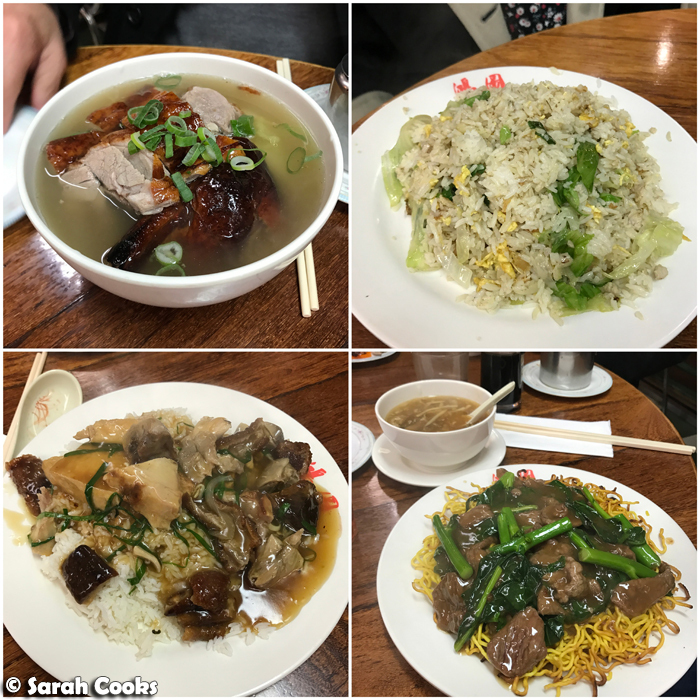 First up - a (repeat) visit to the North Melbourne Hotel (480 Victoria St, North Melbourne VIC 3051), to try out their new Autumn menu. I've visited once before, and liked it even more on this visit! 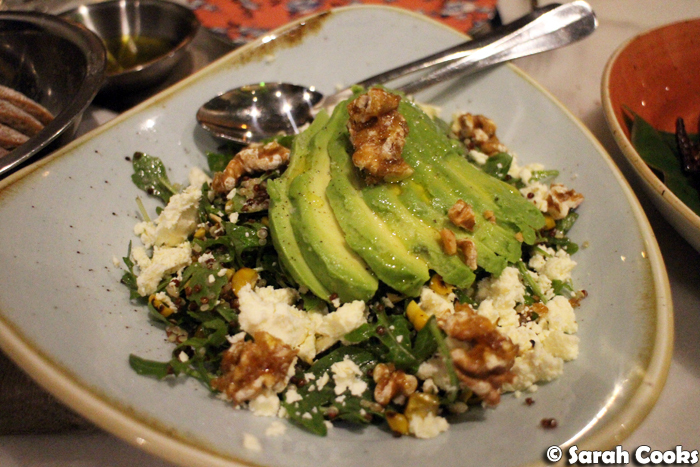 Any place that garnishes a delicious salad with half a sliced avocado gets a tick from me. There was also Piquancy (123 Auburn Rd, Hawthorn VIC 3122), a new Indian restaurant from the same owners as Babu-Ji in St Kilda. They're a slick-looking, modern restaurant, doing lots of familiar (and not so familiar) Indian dishes. I particularly liked the curries and naan, and would happily go back for dinner again. Hot tip: they've got lots of gluten-free options, including gluten free naan! (Slightly random: they also do a strawberries and Bailey's cocktail which didn't seem like it would be my type of thing, but was actually super delicious). 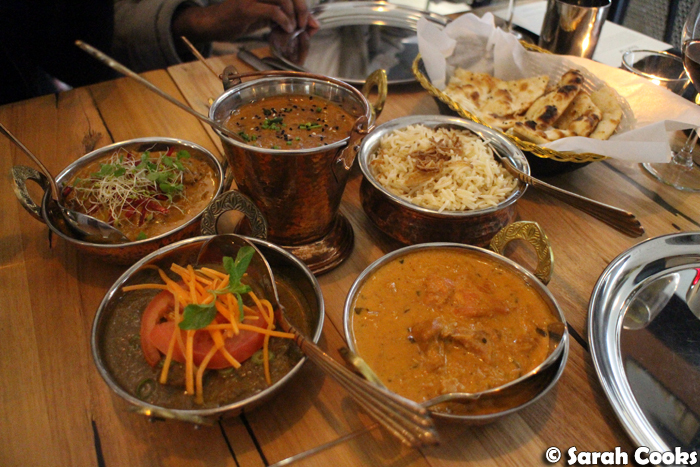 And speaking of modern Indian, I was also invited to visit Shompen (401 Rathdowne Street, Carlton VIC 3053). Chef Vikram is using traditionally Indian flavours in new and inventive ways. 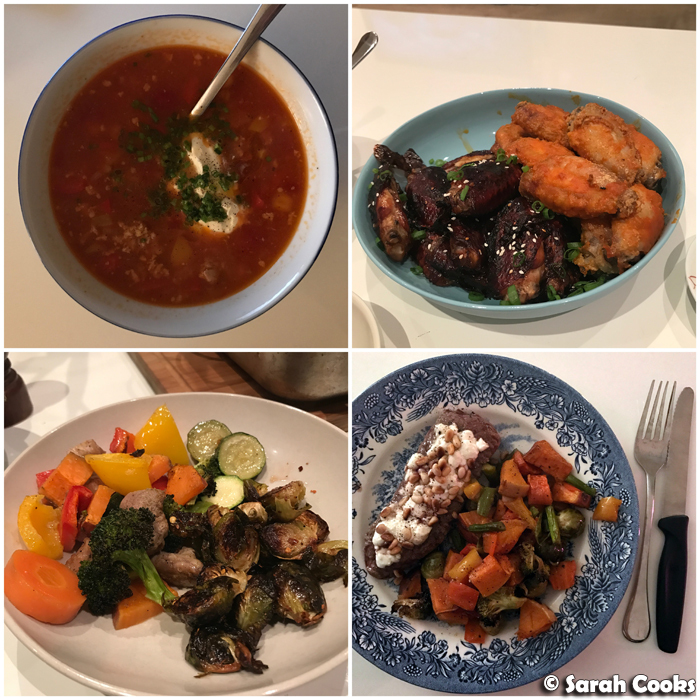 My friend Alaina and I were particularly impressed with the smoked silk chicken, which was incredibly tender, gently smoky, and had wonderful subtle spices throughout. 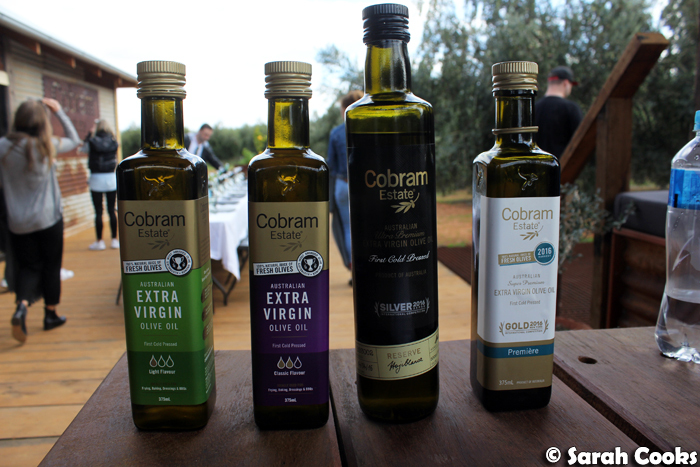 And finally, there was "A Day on the Grove", down at the Cobram Estate olive grove in Boundary Bend. 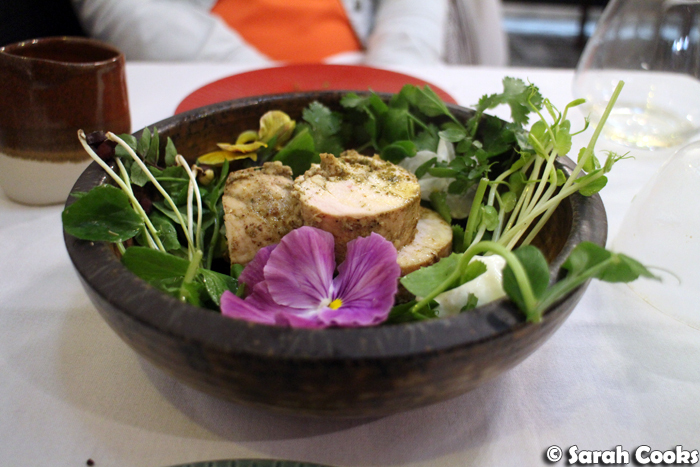 This was a special event they organised for a group of food bloggers - we were flown there in a private jet (! 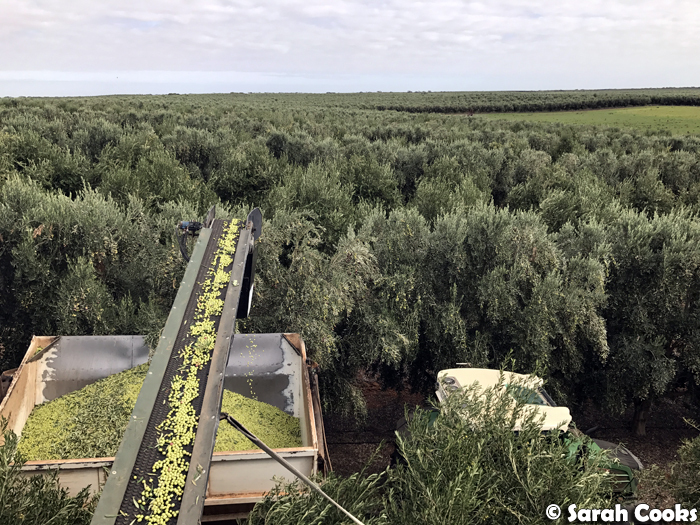 ), given a personal tour of the olive groves and olive-oil producing facilities, and treated to a fabulous lunch featuring (you guessed it) lots of extra-virgin olive oil. Very educational and so much fun! Il Melograno (76 High St, Northcote VIC, 3070). 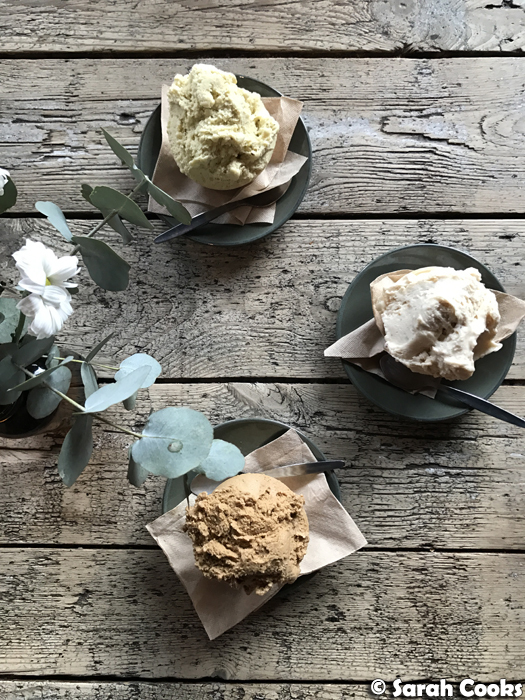 We came here to debrief over gelato after watching Get Out at the nearby Westgarth cinema. (OMG, so good, must watch). The coffee gelato was incredible! So rich and strong. Loved it. My friends had pistachio and salted macadamia, both also excellent. Another day, I treated myself to croissants at LuxBite (38 Toorak Rd, South Yarra VIC 3141). 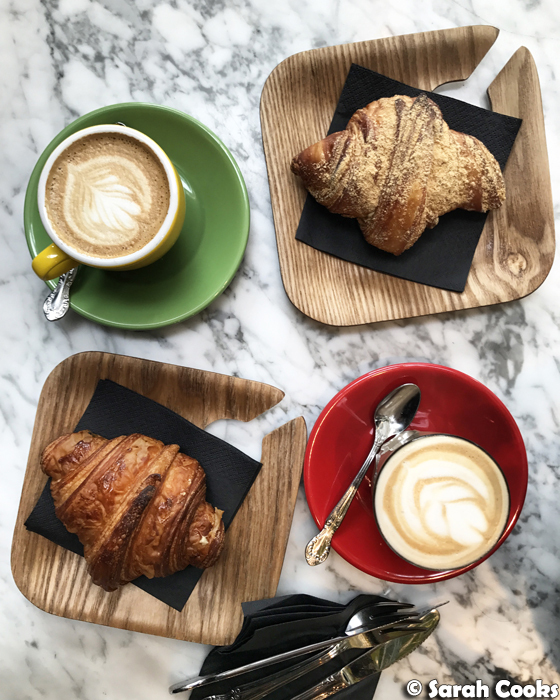 You may remember I went to the launch of their viennoiserie range and loved it, and when I saw on Instagram that they were doing a special limited edition houjicha-cream-filled croissant, I needed it in my life! One day, Sandra surprised me by baking an invisible apple cake! I'd seen it on Facebook, shared the link with her, and was planning to make it for her, but she beat me to it! The recipe is here. (It's in Japanese, scroll down to the comments for an English translation). 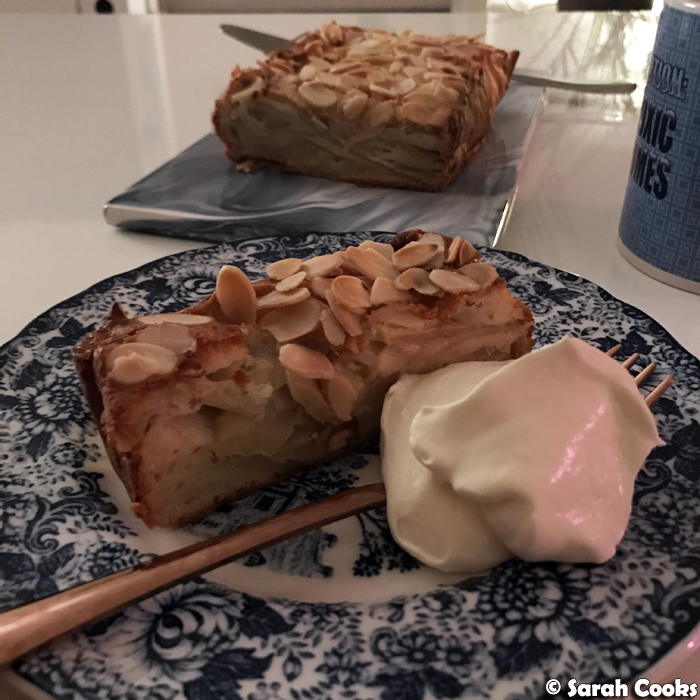 Basically it's lots of apples, just held together with a tiny amount of batter and topped with crunchy almonds. So apple. Such yum. And finally, it was Sandra's birthday at the end of the month! Woohoo! The weekend before her birthday, she had some birthday drinks at Willows & Wine (315 Victoria St, West Melbourne VIC 3003). This is a new-ish wine bar that I love! (I'd visited once earlier in the month, with my friend Alaina, straight after dinner at the North Melbourne Hotel, actually). 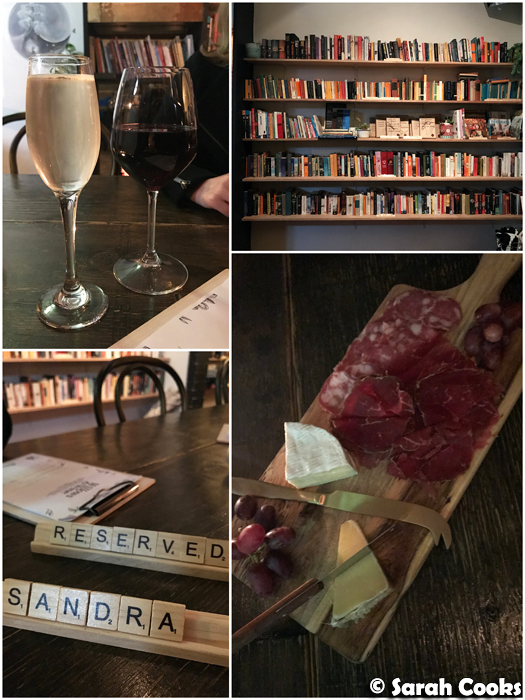 It's cosy and cute, and the lady who runs the place is excellent at wine recommendations. 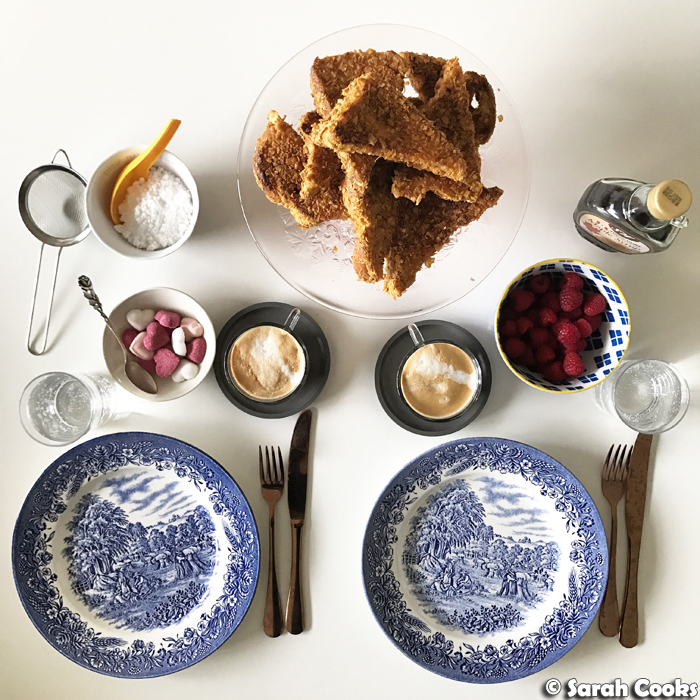 The next morning, I made some cornflake-crusted French toast! 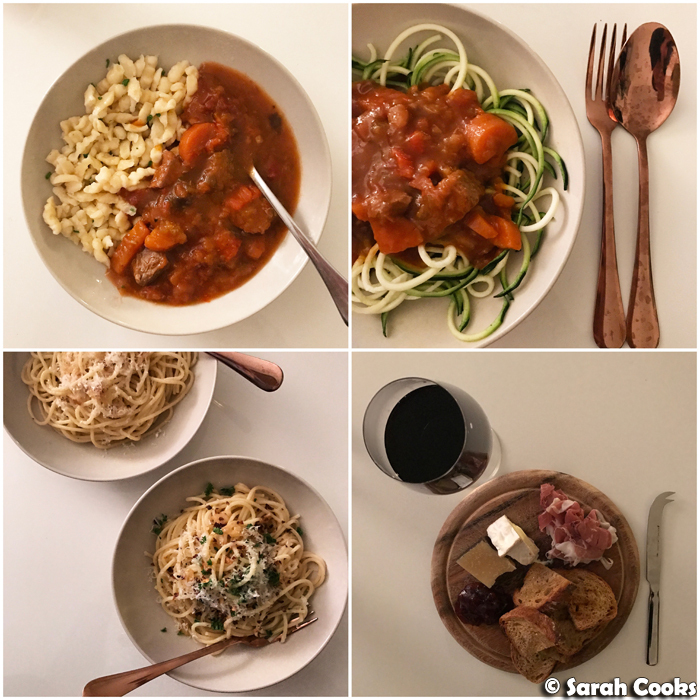 So good - here's the recipe. 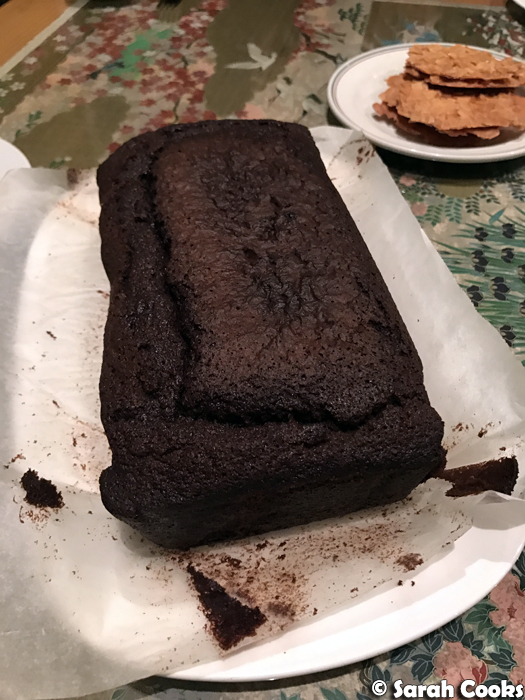 And on her actual (mid-week) birthday, all she wanted was a simple dinner at Hills BBQ (586 Station St, Box Hill VIC 3128), followed by her favourite chocolate cake - Nigella's dense chocolate loaf cake. And that was May! Phew! Plans for June? Chill out and stay warm. Peace out! How gorgeous is the Park Hyatt? We loved staying there too! And I've got to make that apple cake for Mr NQN's birthday coming up!